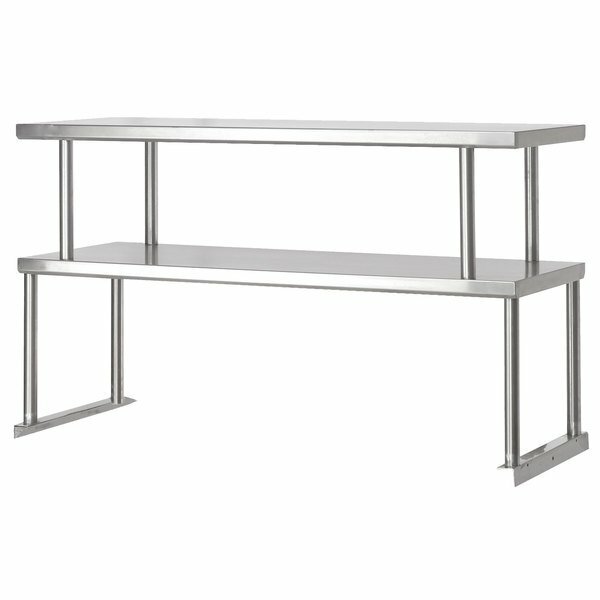 Advance Tabco TOS-4-18 Stainless Steel Double Overshelf - 18" x 62 3/8"
This Advance Tabco TOS-4-18 stainless steel double overshelf is the perfect way to keep all of the necessary supplies close to your food table. Use the overshelf to store plates and disposable supplies for serving, hot pads for changing out food pans, clean food pans and spillage pans, and much more! The double shelf design has two separate shelves for twice the storage space. The bottom shelf is great for keeping larger items within easy reach, while the top shelf works for storing smaller items like spices and bar towels, or items that are used less frequently. 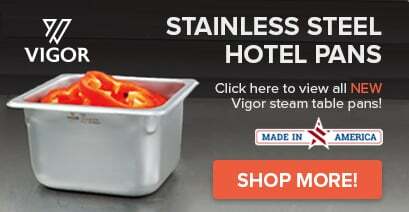 Made of durable 18 gauge stainless steel, this overshelf comes knocked down to save you from paying extra shipping fees. All of the hardware that you'll need comes with the shelf and assembly is quick and easy. This overshelf works with your Advance Tabco food table to provide convenient storage even in a tight kitchen environment or serving area where every inch of storage space is premium real estate. Height of Bottom Shelf: 15 1/8"
Height of Top Shelf: 27 1/8"